The Gaisce Adventure Journey is often the most intimidating and fondly remembered part of the entire Gaisce experience. An Óige has recently teamed up with Gaisce to help cater for those doing the Adventure Journey for the Bronze award. 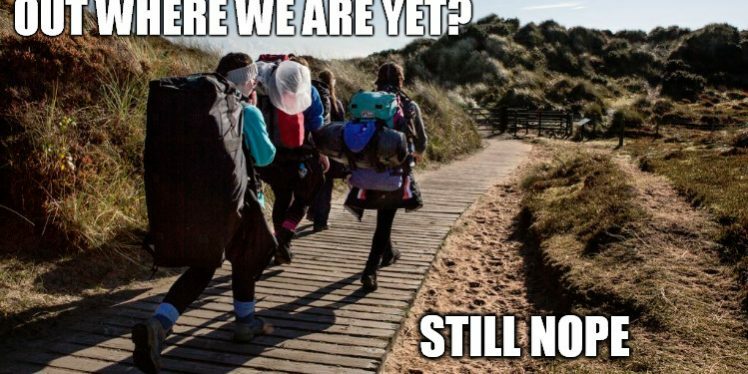 If you’re not used to being active outdoors you could be nervous about experiencing the wilds of Ireland but, with a little preparation, you’ll be grand! 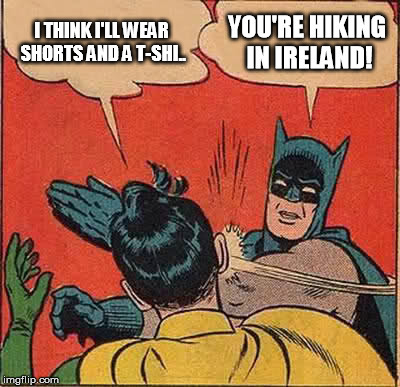 To help you advance from the “would be hiker” stage to the “I’ve done some hikes/look smug” stage, the An Óige brain trust has come up with these top tips. 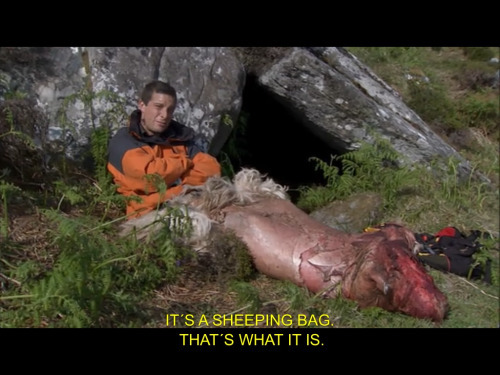 This isn’t a Bear Grylls style adventure. It’s highly unlikely you’ll be required to sleep in the putrid carcass of a rotting sheep in order to stay warm overnight. If you book your accommodation well in advance you can then avail of the sheep carcass package should it take your fancy, rather than from necessity. It’s simple, book early and book often! In order to process your booking quickly you’ll need to provide the following information: preferred date, group numbers with gender breakdown, how many young people and old people teachers there are and any dietary requirements your group may have. It is also helpful to know if the teachers are willing to endure each other’s company over night by sharing a room and if you’d like to book any extra meals. It is vital you remember you are in Ireland and therefore very likely to endure wind and rain on your adventure. Your choice of clothes is therefore very important. It doesn’t matter how cute your new jeans are, do not wear them hiking. Do wear the unquestionably fashionable classic, waterproof jacket. Couple this with tracksuit pants, walking shoes or boots and a warm jumper to create the least stylish but most practical look this side of Milan. Pack light, it’s one night! Bringing one bag is not only acceptable, it’s encouraged. You can leave anything you don’t need for hiking, safe and secure, in the hostel. Stuff you may need for hiking will include your waterproof jacket and pants, water bottle, hat, gloves, flare gun, and some snacks. The flare gun was a joke by the way. Leave that in the hostel too. Before you leave for your Adventure Journey it is important you familiarize yourself with the area you’re heading into. Our Wicklow hostels are both in prime walking locations, so buying the 56 OSI map is not a bad idea. You can also find the hostels on google maps. 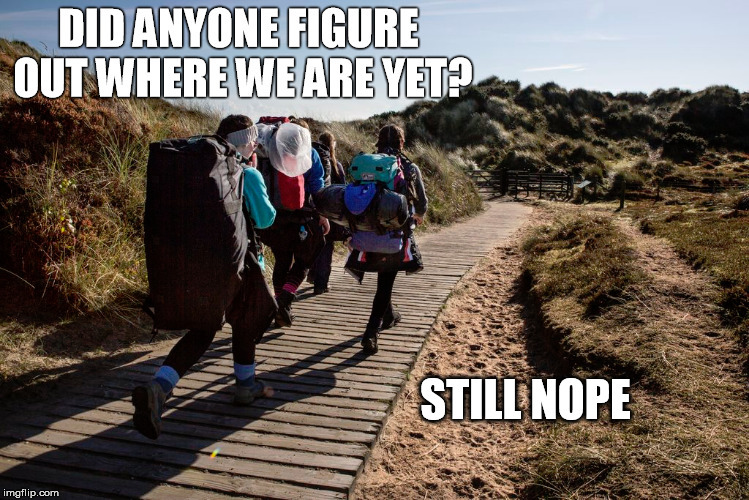 And don’t forget, just because you know where your going doesn’t mean your group does. So spend some time showing them where they’ll be. The old small/far away trick comes in handy here. Of course, if you’re really nervous you could book two of our volunteer Gaisce Guides. These guides have years of experience taking people out on the hills. They know these hills better than anyone and, if their spouses let them, they’d stay out there all the time. They will guide you over two days, showing you the routes to take and, if your real nice to them, explaining about the local area. They’re kind of like Himalayan Sherpas but they don’t carry things for you. Pay attention to the landmarks. 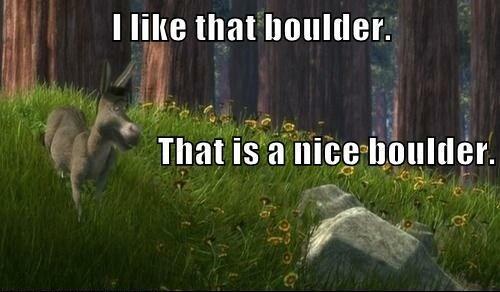 If you see a really cool boulder say to yourself “I like that boulder, that is a nice boulder”. This will help you file the landmark away in the “potentially useful” part of your brain. Remembering your landmarks is important in case you get lost. You can often use these landmarks to figure out where you are and what to do next! Plan your evening. Cooking at least one meal is a requirement for the Adventure Journey and a good culinary disaster can take up the whole evening. But don’t rely on that, your group might actually be decent cooks! Have some games or activities planned, just in case. You will find some suggestions in your Gaisce Information pack but there’s no harm in having some backups! And there you have it! Eight simple steps to help you on your Adventure Journey. From booking your journey to making it home alive, An Óige will help ensure you and your group have a memorable and enjoyable time! If you have any questions about the Adventure Journey please do not hesitate to get touch with our Programmes Coordinator (programmes@anoige.ie). He is also like a Sherpa but one who’s been made stay behind a desk. A Sherpa of bookings shall we say? To learn more about how we help young people explore their limits in the outdoors, subscribe to our monthly newsletter!